The furniture in your office could actually play an integral role in determining the amount of work done. If the furniture is uncomfortable, your employees will have difficulty in sitting at their desks and working for an extended period of time. As a result, their productivity and morale will fall sharply. On the other hand, if you buy furniture that’s too comfortable, the employees will become too relaxed and will soon begin to slack off. Maintaining a balance is essential if you want to maintain decent levels of productivity. It’s important for you to buy office furniture that not only looks good, but also delivers value for money. 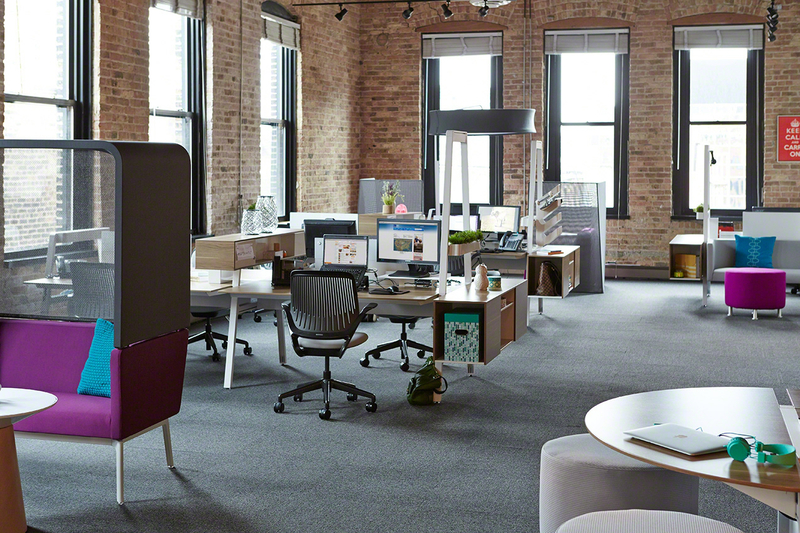 Office furniture is increasingly becoming more fashionable and ergonomic. However, most employees in an office don’t really know where to buy furniture. If you are renovating the office building and looking to replace all the existing furniture, it’s important for you to consider a few factors. The prices for office furniture can vary depending on where you buy, as well as the type of furniture. Obviously, buying branded furniture will cost you a lot of money. That is why it’s important for you to set a budget before you venture into the market. Talk to an office fitout company about the estimated costs of renovation, and then make a decision. Rather than buying the furniture directly off the market, you should consult an office fitout company. Office fitout companies usually work with interior designers and have close contacts with different furniture manufacturers in the city. Since you will be buying furniture for the whole office, you might also get a trade discount from the manufacturer. The furniture in your office should be in line with the overall theme of the place. You need to buy furniture pieces that follow a particular theme and colour contrast. If you have hired an interior designer to renovate the office, they will show you a number of different furniture pieces to choose from. The interior designer will also make recommendations based on the overall theme of the place. Previously, the furniture seen in most offices was pretty standard. Ordinary sofas, wooden desks, plain tables and standard office chairs were used. Today, that concept is changing dramatically. Numerous studies have shown that the work environment has a profound impact on the performance of the employees. If the employees like the interior of the office, they will be inclined to spend more time inside. If the office environment is well-designed, with appropriate spacing and high-quality furniture, it will improve employee morale. As a result, your employees will want to work harder and spend as much time in the office as they can. Rather than visiting hundreds of furniture shops on your own, why not let an office fitout company handle everything? These companies specialise in procuring furniture for all kinds of workplaces around the country, and can help you find a better deal.